Bot name: The name of the bot. Pair: Select a trading pair (read more about choosing a trading pair here – “Choosing what Cryptocurrency Pairs to Trade“). API key: Select an API key from previously created ones or create a new one. 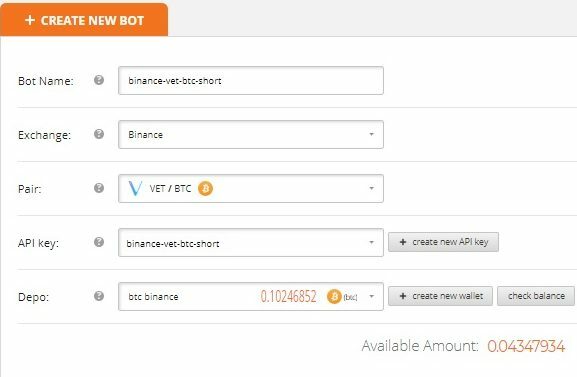 (read more info in the instruction “How to create API key on Binance and add it to RevenueBOT“). Depo: Choose a virtual wallet from previously created ones or create a new one. For convenience, you can check the balance on the stock exchange online. - Name of the wallet. Choose such a name for the wallet that can be easily identified. - Comment to the wallet for convenience. (Optional). - Select the exchange in the drop-down list. - Select a cryptocoin in the drop-down list. - Enter the amount or percent of the deposit in the account on the stock exchange. - Here you can select the appropriate API key to check online balance of the coin on the exchange. Commission: Select the commission option that will be used by the exchange. 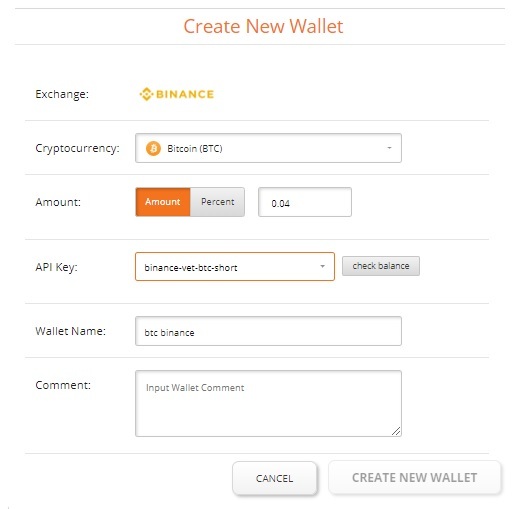 This setting is relevant only for the Binance exchange, because it is possible to pay a commission in the third token that does not participate directly in current trading (BNB token).To use this type of commission, it is necessary to activate it in the account of the Binance exchange. We recommend you always to use this type of commission payment on the Binance exchange as it is cheaper. It is only necessary to monitor that BNB amount on the account. To do this, our bot checks the BNB balance before each launch and if the balance is less than necessary, the bot does not run and sends a notification to the user with information to recharge the BNB token balance to start trading. Algo: Select the algorithm for the bot. The work of the bot is in cycles and is based on the principle of buying cheaper when the course falls (the initial part of the cycle) and selling for more when the course increases (the final part of the cycle). The idea is that having a certain deposit, the bot does not buy the entire amount at once, but in parts when the price falls, using the order grid calculated in advance. The first order in the grid is the closest to the current price and the smallest in volume. Each subsequent order is more voluminous (the martingale system is used) and cheaper. Therefore, when the price falls, the bot buys more and more, but at a lower price, which allows you to make a final profitable trade, selling everything you bought at a price much lower than the bot have started buying. To make such a transaction, we make a profit, the bot calculates everything and starts a new cycle of work. Profit is obtained in the second coin of the traded pair. The success of such trading is determined by the number of orders in the grid, the difference in their weights, the distance between them, the indent of the first order and how deep the last order in the grid will be from the current price. All these indicators can be set in the settings. The working principle is the same as that of the long algorithm, it is based on the sale when the rate rises and the buying when the rate drops. Depending on the settings, the bot calculates and places a grid of sell orders to sell more and more as the price rises. After that, the bot tracks the placed orders and, if they are executed, it places a buy order at a lower price than they have been sold. In this algorithm, profit can be obtained in the second coin of the traded pair or in the first one. Profit in the first coin is suitable for example for those who hold promising altcoins for a long time and want to increase their initial deposit in altcoin by trading them to btc and not to earn in btc. After selecting the bot algorithm, the user is prompted to use the bot settings templates, such as: Light trade mode, Normal trade mode or Extreme trade mode. 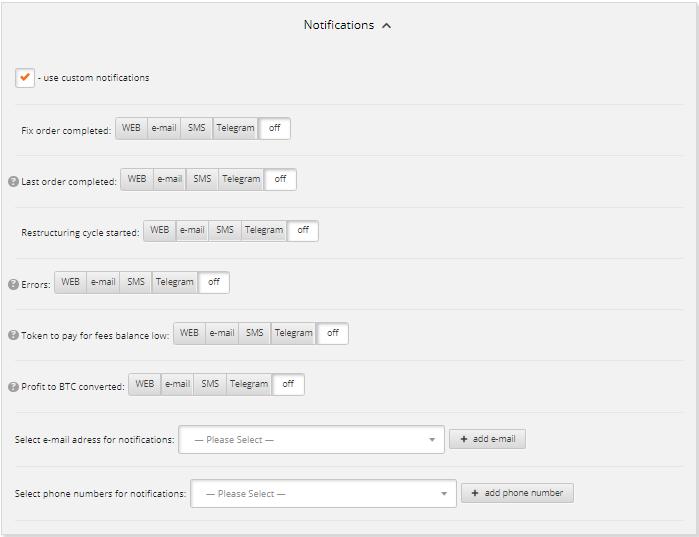 When clicking on the template, the settings are automatically filled. You can skip this step and set each of the settings by yourself. You can create your own templates as well. Rate cover: The rate cover of price changes. This value sets how many per cent of the current price the last order in the order grid will indent. First order indent: Indent of the first order in per cent. This value sets how many per cent of the current price the first order in the order grid will indent. Price rate to use: Select the rate on the exchange from which to calculate. It can be such rates, as buy, sell, avg, last. Orders matrix, martingale: Order Grid and Martingale. Here you can specify the number of orders in the grid and martingale (by how many per cent each next order in the grid will be weightier than the previous one). Here you can also see which grid of orders you will have. To do that you should click the “View orders matrix” button. Profit: Here you can set the profit in per cent that will be used by the bot when calculating the price of the completing cycle of the order. Profit coin: This setting is available only for the short algorithm. It sets in which of the traded coins there will be a profit. Cycle up: It happens sometimes that the bot has placed an order grid, and the price has changed radically. So you need to wait for the price to recover and it can last long. This waiting can be avoided by setting the updating of the order grid to the current price. Here the percentage is set, and when it is reached, the current order grid is canceled and a new one is set. Sleep before cancel orders for cycle up: Here you can set the delay in minutes before starting to cancel the current order grid when the Cycle up setting goes off. This setting allows you to avoid frequent cancellations of the current order grid when the price has changed in a very short time and recovered. You can wait a bit in order not to cancel the current order grid unnecessarily. Sleep before cycle up after cancel orders: Here you set the delay in minutes before setting a new grid after cancelling the previous order grid. This setting also allows you to avoid negative consequences if the price has changed in a very short time and recovered. Sleep after end of cycle: Here you set a delay in minutes before starting a new cycle after the end of the current cycle. 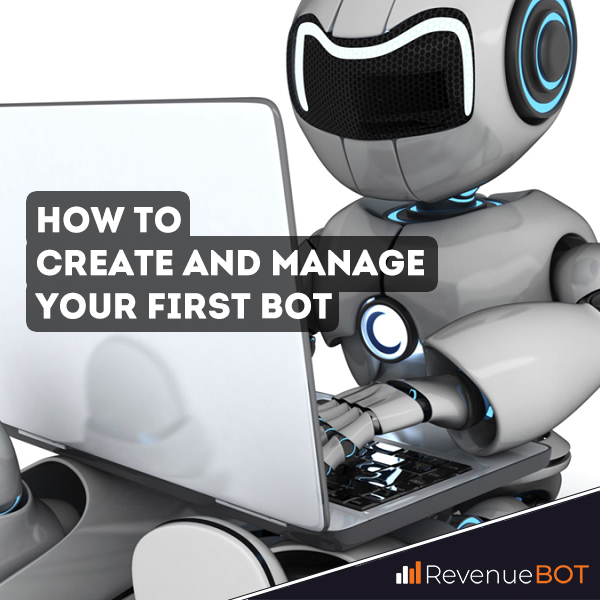 add revenue to depo: When making a profit, you can add it to the depo, which the bot uses, and increase the deposit in such a way. 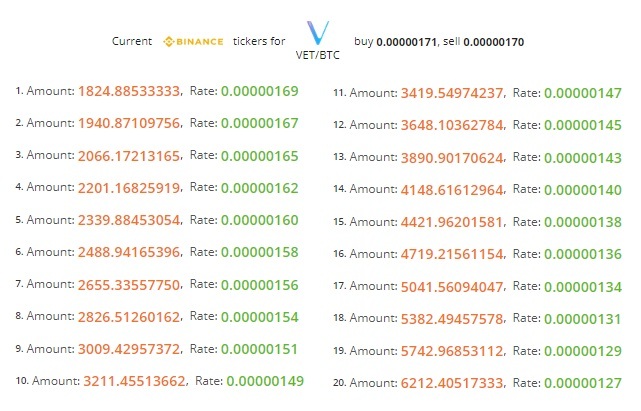 When the setting is on, the entire profit from the bot is transferred to the virtual wallet that is used by this bot. logarithmic scale for orders: Usually, the order grid is calculated so that all orders are arranged linearly there, at the same distance from each other over the entire price overlapping. During small fluctuations, there will be the smallest orders in the grid executed. To involve more deposit in the trade during small price fluctuations, you can use the logarithmic distribution, which will increase the density of orders close to the current price and will reduce the order density when moving away from the current price. cost limit: Use this setting in order not to start buying orders too expensive and not to sell them too cheap. It sets the maximum price above which the bot will not start the cycle for the Long algorithm, as well as the minimum price below which the bot will not start the cycle for the Short algorithm. fix first partial order with profit: It happens sometimes that the first order in the grid has been partially executed, but the price changed rapidly. This happens when the bot operates a large deposit and the orders in the grid are quite voluminous, even the very first one. In such a situation, you can wait a long time for the price to recover and for the order to be fully executed so that the algorithm can continue working. 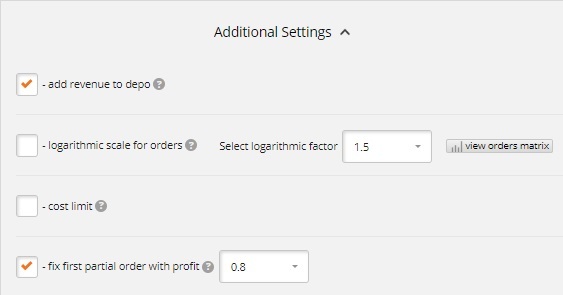 By enabling this setting, you can set a percentage of profit for calculating such a price, by reaching which you get a profit, if you cancel a partially executed order and put the order that completes the cycle for its full sum. After all, the price has changed so, that we can get a profit, just the order turned out to be too voluminous. Then click “Create New Bot”. Congratulations! You have created your first bot!